It’s possible we’re a little biased, but around here, we consider citrus fruit and citrus trees to be breathtakingly beautiful. The glossy green leaves, the delicate, ethereally fragrant flowers…and then, of course, the fruit, in all its glorious shades of rose, golden, yellow, orange, pink, bright or deep green, and sometimes even scarlet. When you cut them open, more beauty ensues: the translucent sections shine gloriously in the light, once again displaying a rainbow of hues. Is it any wonder, then, that citrus fruits have been a favorite subject of artists for hundreds of years? Quick history lesson: citrus fruit originated and was first cultivated in Asia. Several thousand years later, it spread slowly to the Mediterranean. The first citrus to “travel” was the citron, which most of us wouldn’t really recognize as tasty or familiar—it was mostly peel, with a dry, inedible interior, but did have a pleasant citrusy scent. Eventually lemons also reached the Mediterranean, with limes, sour oranges, and the pomelo (the ancestor of the grapefruit) then making their way slowly around the area and into Europe. Sweet oranges came last, in the 1500s. Citrus was also brought to Florida by the Spaniards around this time. 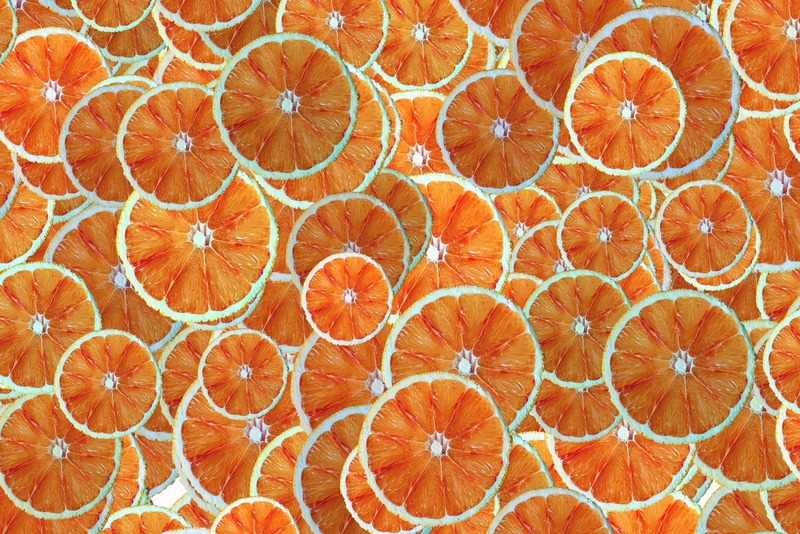 Let’s take a look at some examples of citrus in art across the ages. This article features a photo of a Buddha’s hand citron portrayed strikingly in white jade, from the 18th century (the Buddha’s hand is a very unusual “fingered” citrus, mostly peel, that is highly fragrant and popular in Asian countries). The article also depicts a very old silk painting from the Ming Dynasty, thought to have been painted sometime in the 14th-17th century, that clearly shows a citrus fruit (it looks like a tangerine to me, but the article mentions citron). These are just two examples of citrus’s presence in Asian art, dating back hundreds of years. Botanical drawings of citrus are often quite beautiful, and may be considered their own category of art. A massive volume describing the known citrus varieties of the time, written by a Jesuit monk in 1646, is treasured for its beautiful engravings of these ancient and often (to our eyes) strange lemons, oranges, citrons, and so on, drawn by many of the great artists working at the time. It is a quite an amazing record—see some of the drawings here. Flemish still life painting in the 1600s were incredibly lush, detailed, and vibrant, often featuring lavish spreads of fancy tableware and expensive foods, such as lobster. As a costly imported fruit, citrus fruits like lemons and oranges were very frequently featured. 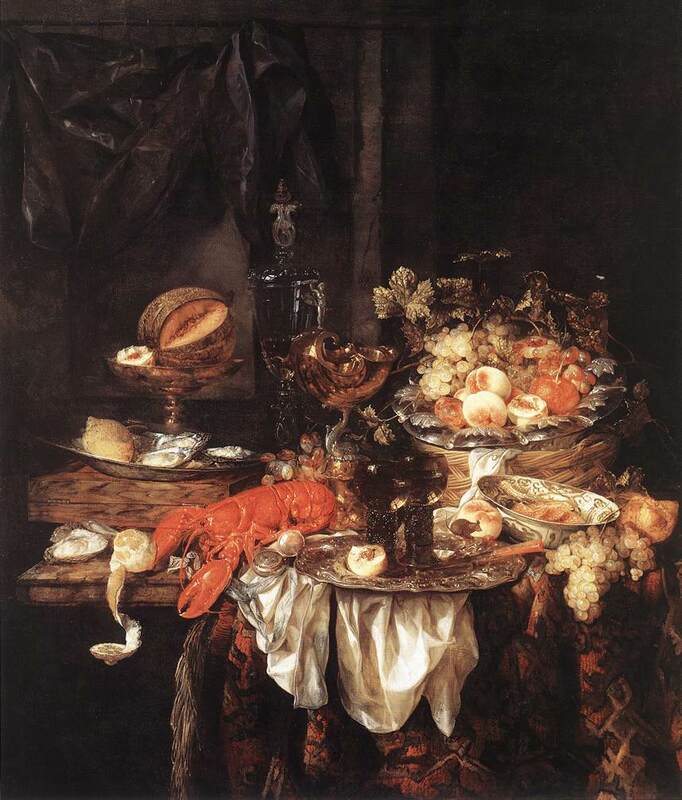 The opulent meals on display in these paintings were thought to symbolize both wealth and the fleeting nature of life and our inevitable journey towards death. 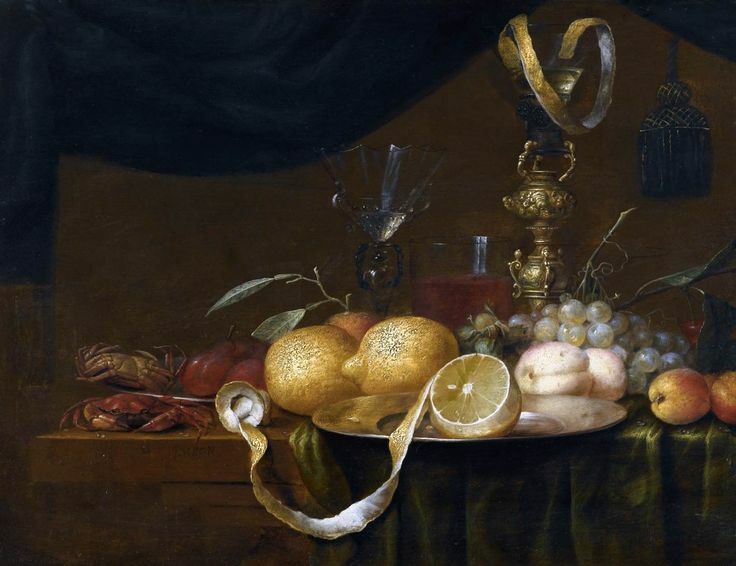 Take a look at this one, Abraham van Beyeren’s Banquet Still Life, where a half-peeled orange or lemon lounges center stage as if still waiting to be eaten. A journey into this genre of work will reveal many such depictions. In the 19th century, the impressionist school of painting also participated in the depiction of citrus fruits like oranges and lemons, though in this case it’s doubtful that much symbolism was intended. Instead, the aim was likely simply to portray the beauty of the fruits. Here is Cezanne’s well-known Apples and Oranges, from 1899. Matisse’s Still life with Oranges, from the same year, is rather vague and conceptual, with the painting being more about colors and forms. Meanwhile, the cubist Pablo Picasso also took his turn at a “still life with oranges.” See what you think of this playful take on the “oranges on a table” tradition, from 1936. 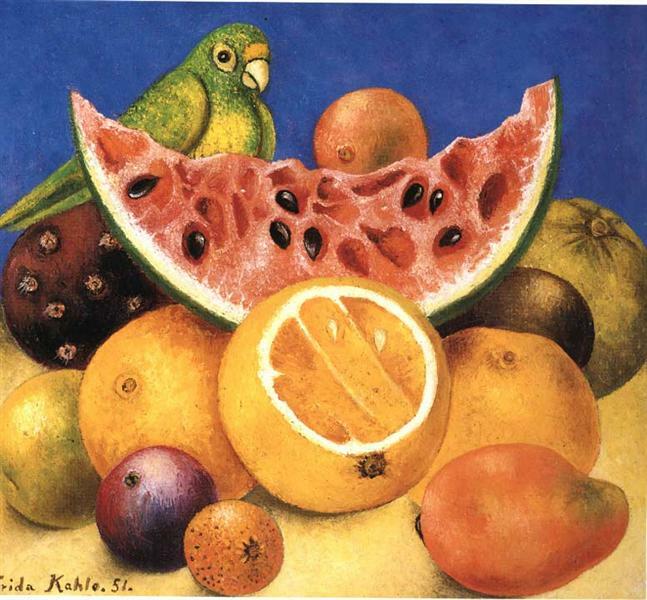 And in 1951, surrealist folk artist Frida Kahlo depicted a luscious but strangely sliced orange in her Still life with Parrot. Critics have suggested that the sliced orange may be a symbol for Kahlo herself, who endured many painful surgeries after a near-fatal bus accident. 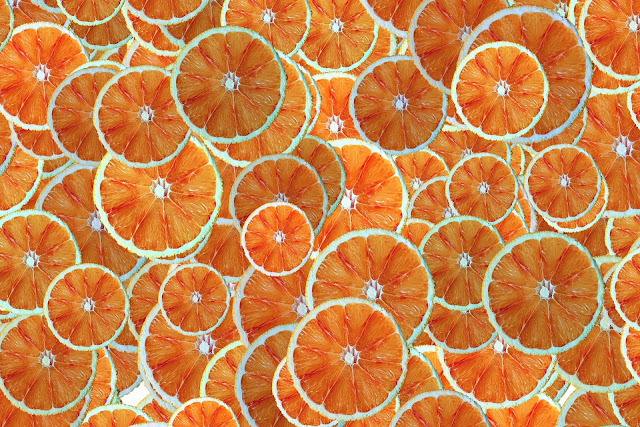 As for artists inspired by citrus working today, we were intrigued to learn of one current artist who literally works with oranges themselves to create his unique art. Yoshihiro Okada draws a design on the peel of a whole tangerine (leaving no part unused) and removes it carefully to reveal an astonishing piece of citrus peel art—a bird, a fish, a horse, a monkey. It’s a bit like origami, but considerably more magical and difficult. Watch more videos of Okada’ unique artistry here. With such a rich and varied history across the globe, it’s no wonder that gorgeous, fragrant, and delicious citrus has been inspiring artists for hundreds, even thousands of years. The next time you visit an art museum or gallery, keep your eyes “peeled” for art featuring our favorite fruit.